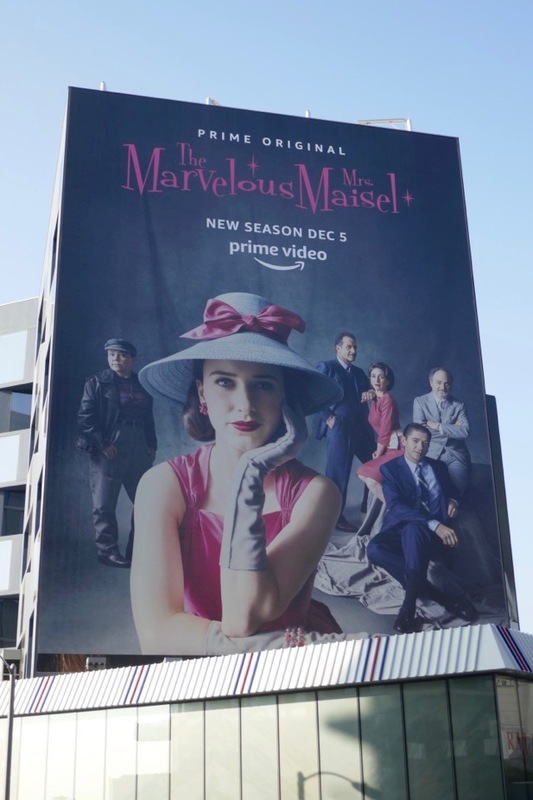 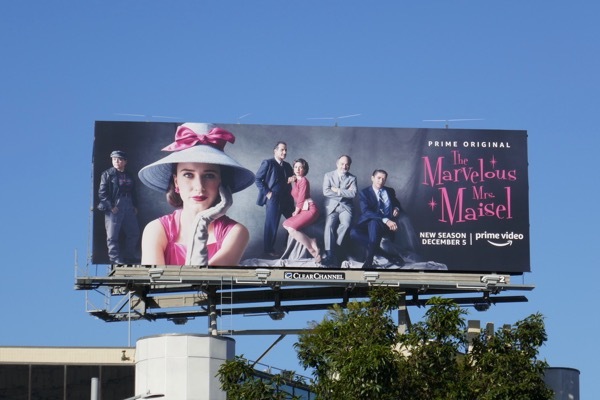 Hats off to Amazon Prime for making a style spectacle in the city skyline for the return of their hit period comedy-drama, The Marvelous Mrs. Maisel. 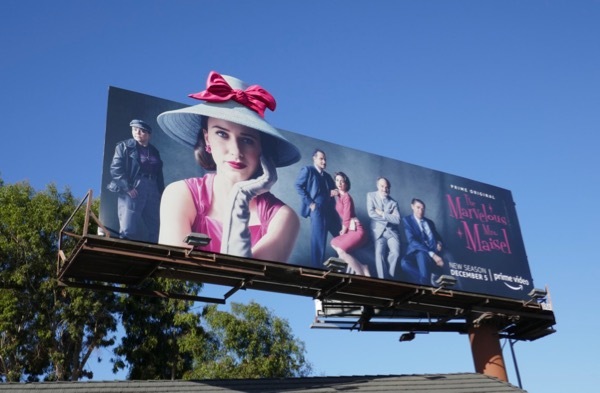 Returning for a second season Rachel Brosnahan's 'Midge' continues to navigate the wildly different worlds of the Upper West Side and her promising career on the Lower East Side stand-up scene. 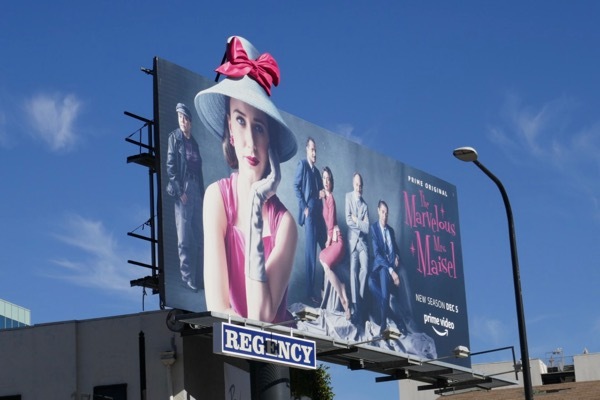 Amy Sherman-Palladino's dramedy scooped eight Emmy wins and two Golden Globes for its debut season, with wins for its leading lady and for Alex Borstein as Midge's agent 'Susie Myerson', plus accolades for best comedy series. 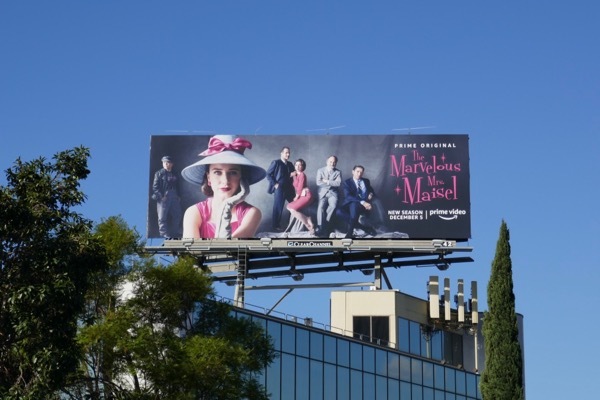 These sophomore season billboards were photographed along the Sunset Strip, La Brea Avenue and San Vicente Boulevard, whilst the special 3D hat installation was spotted at La Cienega and Olympic Boulevards, from November 22 to November 24, 2018. 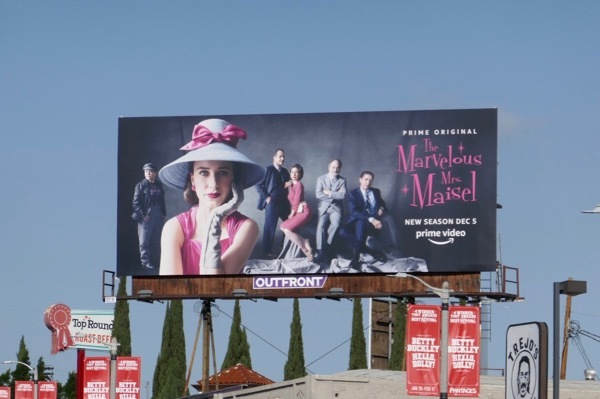 Fans of the Amazon Prime dramedy can also enjoy enjoy all these series launch and awards consideration billboards for The Marvelous Mrs. Maisel, these season one costumes from the show on display. 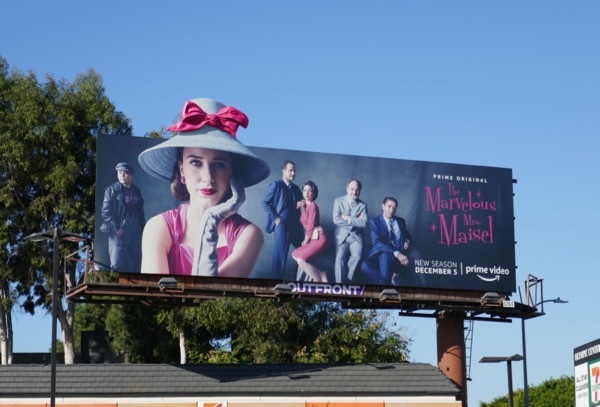 This time around the 1950s housewife-turned-comedian is off to Paris and the Catskills, plus you can expect more Manhattan misadventures too to tickle your funny bone (hats optional). 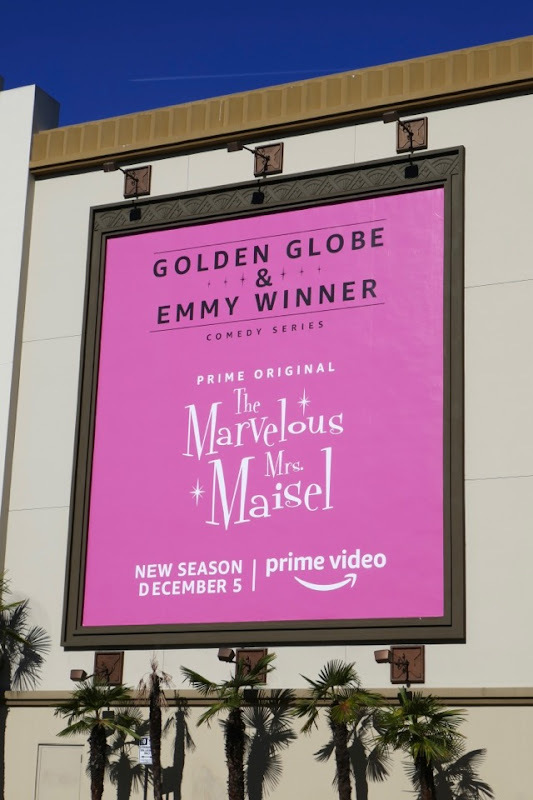 UPDATED: Here's also another ad for the sophomore season showing off the show's industry accolades snapped along L.A.'s 3rd Street on December 15, 2018. 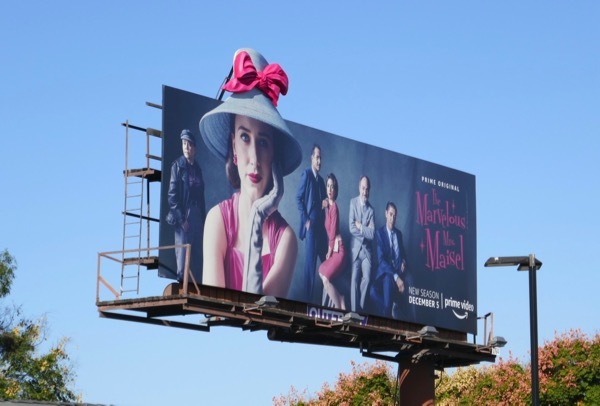 And here's also another example of the special hat installation spotted along Highland Avenue on December 19, 2018.